For a slice of heaven, head to Gloucestershire over the Easter break and soak up some of the wonderful gardens there. 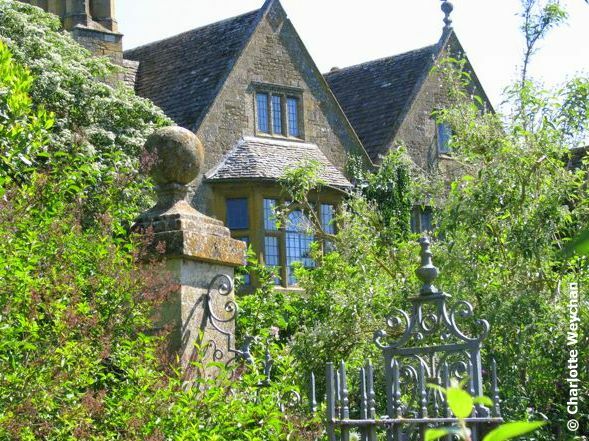 You'll be hard pressed to choose between which ones to see, but in the first of my Gloucestershire Walks, I'm highlighting two gardens that are so close together, you can walk from one to the other - Hidcote Manor and Kiftsgate Court. But do be warned, you may get caught in the crowds! As you enter the garden at Kiftsgate, you'll be overwhelmed by the flowers! 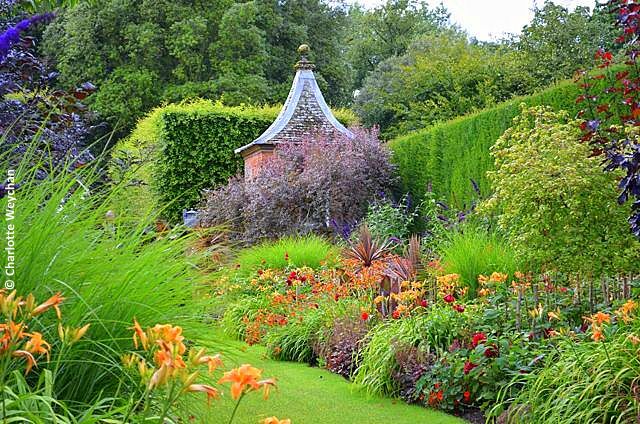 Kiftsgate Court is one of the most lovely gardens I've seen on my UK travels, but is often overlooked in the rush to get to its neighbour - Hidcote Manor - one of the most visited gardens in Britain. Both are magnificent gardens and you can make a perfect day out visiting the two together. If you arrive at Hidcote and it's too crowded, just wander over the road to Kiftsgate until the rush subsides! 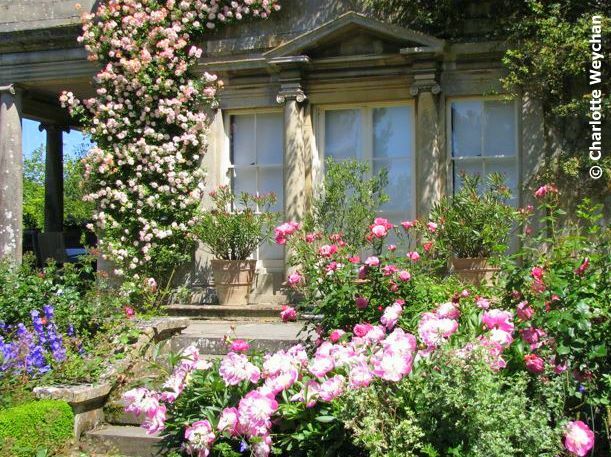 This is home to three generations of gardening women and famous for its own rose - the Kiftsgate Rose (Rosa filipes 'Kiftsgate'). The property sits on the edge of a hill and you'll easily spend half a day in this garden as you wander through the various garden rooms; stand and admire views over the Vale of Evesham and Malvern Hills; and wander through the glorious shade garden (above). Hidcote Manor is no less glorious, but it's popularity means that you'll be hard pressed to find quiet corners to reflect. 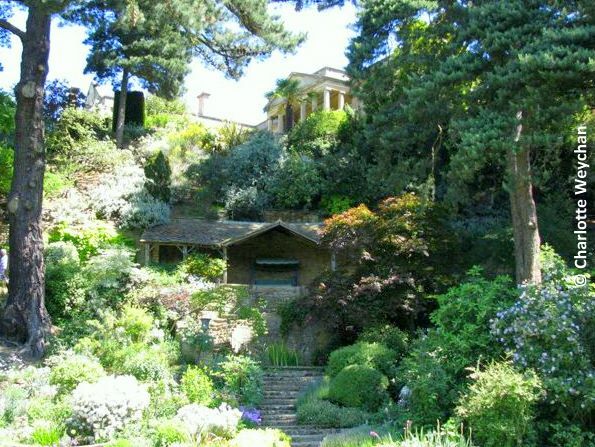 Former home of Lawrence Johnston, who helped his neighbours design the gardens at Kiftsgate, this is one of the National Trust's UK flagship gardens, comprising more than 10 acres of garden rooms. For weekly news and updates, visit Bertie Bainbridge's "What Ho Hidcote" blog. He's the beekeeper and a trainee gardener there, so has all the latest information on what's in bloom. Just in time to get me ready for my trip to see English Garden next month. Thanks! Your garden strolls have done much to lighten my somewhat still wintry mood. As I look outside at my yard still buried beneath the snow, I decided to surf some of my favourite garden blogs and was reminded how much I truly love your blog. I highlighted your blog as a spotlight on my blog The Gardening Life. I would have loved to add a "photo" of your blog page but don't know how to do that. Anyway, come by, won't you? Those gilded lilies are a real surprise! And the roses are beautiful. Thanks for the Hidcote link! I don't know when I'll make it, so the blog will have to make do for a while! 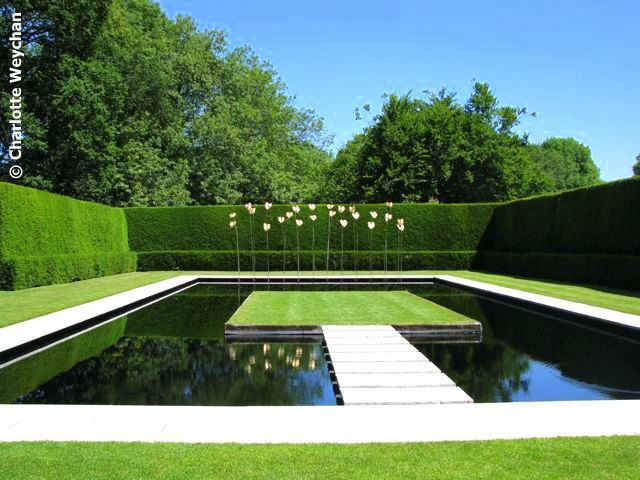 I enjoyed visiting Kiftsgate and Hidcote with you. We visited the former when we found Hidcote closed one time. I was so disappointed not to get there on that trip, but have since been. I really loved Snowshill the best. We shall be there again this summer and both are on the list. I joined The Royal Oak Foundation especially for our trip. Splendid! Yes, the garden can get rather busy at times; early morning and late afternoon are generally the quietist periods in the garden. Our closed days are Thursday & Friday except during June and August when we open every day of the week. Kifsgate is closed Thurs & Fri throughout the season.